If you are looking for a heat pump that utilize the latest innovative features and is made by the reliable HVAC Company that you can trust, consider buying one of the Dave Lennox Signature Collection heat pumps. It provides some of the best heat pumps in the industry for effective heating and cooling, as well as blending with the rest of your HVAC system. 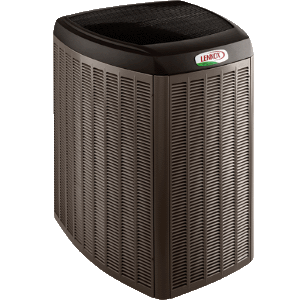 With Lennox, you get an HVAC system that gives you a variety of components that you can add, including a furnace, air conditioner, and air handler. But, you can also add SunSource solar panels and control everything with the iComfort S30 smart programmable thermostat and iHarmony zone controls. Some places will give you a tax credit for installing solar, and since you don’t have to pay the electric company, solar panels can start to pay for themselves in almost no time. For those really cold days, you might want to add a Lennox furnace that takes over and uses less natural gas, saving you on your electricity bill. Add the PureAir air purifier and you will be able to really breathe easy for years to come. The SilentComfort fan grille uses modern technology to reduce the amount of noise made by airflow around your heat pump, keeping operating noise to a minimum. The SmartHinge louvers give the technicians an easy access to the interior no matter where the heat pump is installed; cutting down on labor time and getting you back in comfort fast. Signature Series heat pump in very cold winter conditions is also reliable as the IntelliFrost defroster will kick in and keep snow from accumulating on the fan so your heat pump can keep on rolling. The Humiditrol system keeps the humidity comfortable inside, making the air quality much better inside. Users have even been able to set their cooling thermostat higher because of the improved humidity. You also get a full 10 year parts and compressor warranty, the best Lennox has to offer. Lennox SL18XP1 model utilize a single-stage compressor, so it’s not the most efficient one in the line. However, the heat pump comes with a high efficiency of 18.5 SEER in cooling and 10.2 HSPF in heating; making it Energy Star certified that earned top marks for 2015 as a Most Efficient Product. The heat pump is also very quiet, so quiet Lennox calls it the quietest in the industry for single-stage compressors. It does this because of the SilentComfort insulation and unique fan blade design so vibrations are kept to a minimum. Sensors that control the fan adjust its speed based on the outside temperature while keeping the indoor temperature nearly constant providing greater comfort. The Quantum Coil condenser coil is made out of aluminum for the best heat transfer you can get, pulling all the hot air out of your house so you feel nice and comfy during the hot summer. Plus, aluminum resists corrosion which steel cannot, so it will last in any weather, even harsh salty air conditions in coastal areas. Lennox heat pump XP21 operates on two phases unlike the 18, making it one of the most efficient two-stage heat pumps on the market today, and quiet, too. It delivers 19.2 SEER cooling and 9.7 HSPF heating, plus it is also Energy Star certified which ensures savings. Those two stages mean your heat pump operates in a lower stage during mild temperatures, and kicks up to a higher stage when the demand is higher contributing in the lower noise level. The XP21 model also has SilentComfort technology for reduced vibration and peaceful homes. It even has a sensor that detects if a piece of debris has landed on the fan and it adapts the fan speed to free the item before returning to normal operation. The composite fan blades are also resistant to corrosion from bad weather, giving you years of faithful service. The XP21 is a super star Energy Star product, earning a Most Efficient 2016 award. The XP25 heat pump is the top of the Lennox line, and one of the best in the industry. The variable-capacity PreciseComfort inverter driven compressor makes it the most temperature accurate model you can buy and it delivers a stunning 23.5 SEER cooling and 10.2 HSPF heating, the best in the industry. It does this by making micro adjustments, as little as 1%, to keep you home at a steady temperature and keep the energy costs in line. It should be no surprise that this model is Energy Star certified and it is one of the quietest heat pumps on the market, coming in at 58 decibels. Pair it with an air handler or variable capacity furnace and it can also remove up to 30% more humidity than a standard single stage heat pump can. So if the Dave Lennox Signature line of heat pumps sounds appealing don't hesitate to check out the available contractors in your area and ask for the recommendation. Looking at the Lennox heat pumps for residential use, model XP25 is the one that we recommend due to its ultra-high efficiency, quiet operation and top notch features that make it reliable and durable while providing a comfortable climate for less.